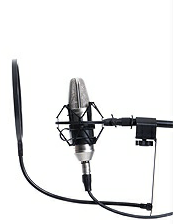 Rooftop Audio operate/run/manage the recording studios within Parr Street Studios. Chris Taylor and Rich Turvey are your main contacts. Want to chat to them about your next music, soundtrack or voice over project? Give them a call on 0151 707 1050 or visit their website at www.parrstreetstudios.co.uk for further details. Parr Street Recording Studios clients include Universal Studios, Sony BMG, Warner Brothers, Virgin, EMI, Delta Sonic. How do you fancy following in the footsteps of some of the biggest names in the music world? Coldplay, Doves, Embrace, Badly Drawn Boy and Sandi Thom have all recorded at the famous Parr Street Recording Studios and you have the chance to join them. Grammy-award winning Parr Street is the country’s biggest recording studios outside of London. You could be playing your own compositions on the piano on which Chris Martin recorded Trouble (have a look underneath and you’ll see the graffiti he left for posterity) and work with one of the studio’s top engineers. Parr Street Recording Studios is one of the most famous recording studio complexes in the world. We have an enviable history of recording, having worked with some of the most celebrated artists, producers, engineers, composers and film makers. Mastering is the final stage in the production process and ensures that the music fits together seamlessly and that it is presented with the best possible sound. With its amazing studio acoustics Ken Nelson legendary Grammy-award winning producer said the natural sound of Parr Street Studios is unrivalled, is unique and much sought after. The expertise of Parr Street Studios engineers maximises those acoustics and together with its legendary equipment produces award winning chart topping music. Parr Street Studios are a sought after, iconic music location for professional film makers. We have various spaces available to hire for filming purposes.